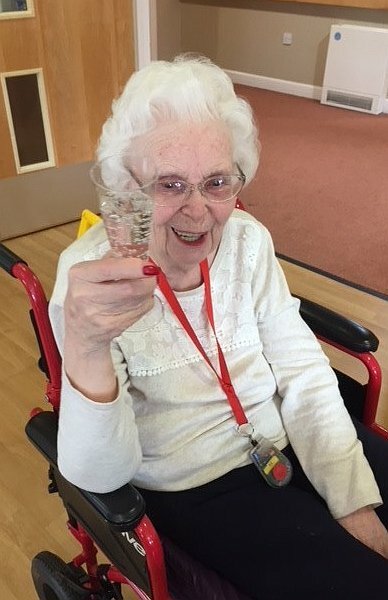 A Colwyn Bay care home has been celebrating recently – welcoming friends from the wider community to their Open Day and also raising a glass of bubbly to celebrate the birth of Prince Louis of Cambridge. Staff, residents and friends from the Merton Place home managed by Clwyd Alyn Housing Association in Pwllycrochan Avenue took part in the national UK Cares Homes Open Day event at the end of April to celebrate the vital part that care homes play in local communities. “The theme of the day was celebrating links with the wider community which is something we really appreciate here at Merton Place,” said Activities Organiser Val Smith.